PRESS­­ RELEASE – ANAHEIM, CA–(Marketwired – Jul 7, 2015) – ZyXEL Communications, a leading provider of secure broadband access, connected home and business networking products, today announced its new 4-bay NAS540 network attached storage solution for easy data access wherever, whenever. Equipped with advanced processing and fail-safe features, the NAS540 serves as a secure, high performance personal cloud, media streamer, and backup storage solution for consumers and small businesses. With experts predicting a 4,300% increase in annual data generation by 2020, individual and business storage requirements are skyrocketing. The NAS540 delivers on the need for additional storage capacity and enables mobile users to conveniently access data and files on the go. The NAS540 covers a variety of high performance cloud storage needs from backing up important office documents to streaming stored movie files to TVs and devices. Network intensive data management is no problem with the NAS540’s fast CPU. The product’s quick read / write speeds make it a top choice for instant data access. USB ports and an SD card reader enable external data transfers at breakneck speeds. Streaming stored multimedia content from the NAS540 is easy with its built-in DLNA server. HD and 4K content can be delivered to multiple TVs and devices simultaneously while maintaining quiet fan operation. The NAS540’s diagnostic information can be readily viewed on its intuitive Web GUI, allowing users to monitor and manage applications on the device, CPU utilization and fan speed. The NAS540’s 4-bay design gives users the flexibility to add as much as four 2.5″ or 3.5″ SATA II hard disks with a max of up to 24 TB total memory (6 TB x 4). Called Project Velocity IP, or VIP, the plan expands AT&T's 4G LTE network reach, adds spectrum and small cell technologies while on the wireline side, expands U-Verse service,s upgrades speeds and extends fiber to multitenant buildings. 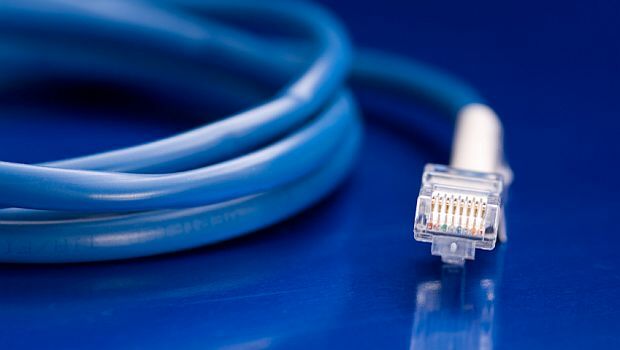 The provider offers faster Ethernet, over copper and fiber, in Montana's two largest cities.